LOOKING FOR YOUR COUNTRY DREAM? Set on around 5 acres (approx.) you will find this beautiful country home ready for new owners to call it their own. 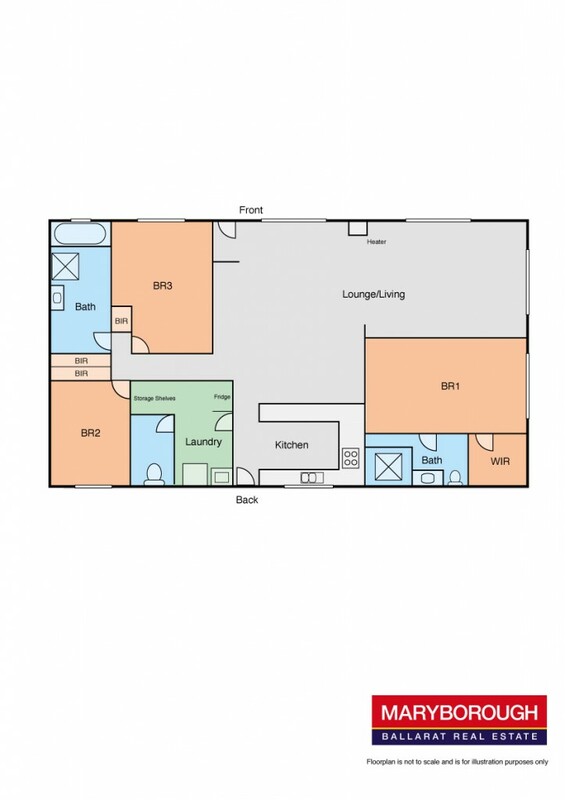 Three bedrooms, all with BIR's the third is currently used as a study. Master bedroom enjoys ensuite, WIR and access via glass sliding door to the undercover garden with water feature. The open plan living, dining and kitchen suit the modern buyer and are light filled with a view from every window. Generous kitchen storage and bench space will impress with further storage in the larder off the laundry. Free standing wood heater and evaporative cooling ensure year round comfort. Main bathroom has separate shower and bath and is well positioned to the two other bedrooms. This property has the benefits of mains power and water. Outdoors is a large shed on a slab with power and mezzanine storage. This shed is sure to please the workman of the family with plenty of space for a man cave and parking. There is a fence vegetable garden with raised bed to grow your own produce. The extensive orchard include apricots, plums, apples, nectarines, the list goes on and on, all of this is serviced by a reticulating watering system. There is a great BBQ area and studio in the house yard, studio with wood heater and would make a great hobby room, sleep out or perhaps a bar. With so much to see inspection in a must, contact LUKE WILLIAMS on 0415 104 044 at our Maryborough office today.